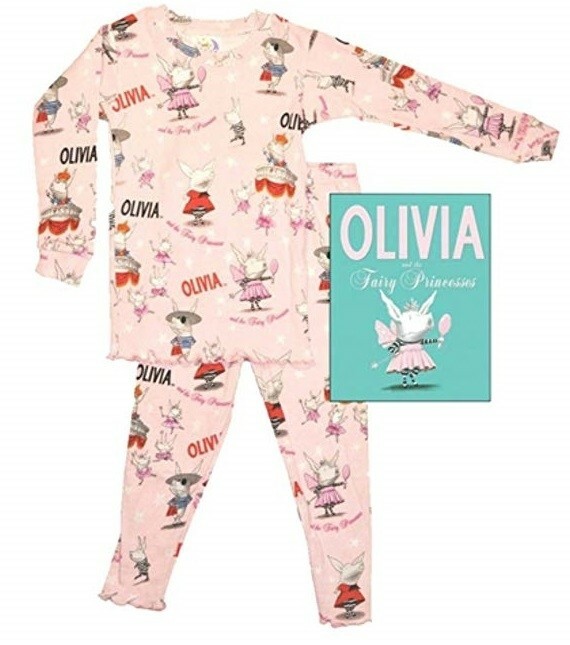 Fans of busy little piggy Olivia will adore this gift set that includes a cozy pair of Olivia pajamas and a copy of Olivia and the Fairy Princesses! 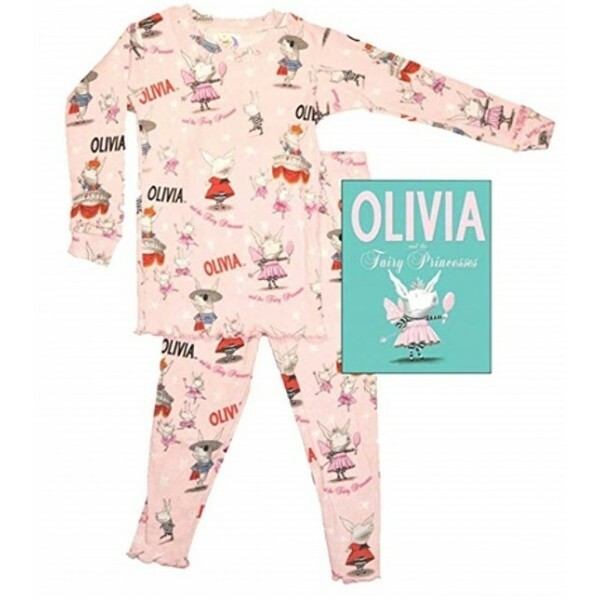 This cute gift set from Books to Bed includes a pair of 100% cotton long-sleeved pajamas with an Olivia print, as well as the book, just right for a snuggly and literary bedtime. This set is available with pajamas in sizes 4, 5, 6, 6X/7, and 8.